Sony vs. Microsoft: Who Came out on Top at E3 2018? The console wars have raged for years. Long have gamers debated the benefits of Playstation over Xbox and vice versa. At E3 2018, the battle continued as each studio returned to the Los Angeles Convention Center in full force with impressive presentations and game announcements. While Sony dominated by building excitement around up-and-coming games such as Death Stranding and Last of Us: Part II, Xbox leaned on nostalgia with announcements around fan favorites Gears of War and Halo. The information coming out of these two press conferences can be a lot to process, so we compiled the major news from both studios here. A game that has been shrouded in mystery and confusion since its announcement, Death Stranding has become … only a little less confusing. The trailer Sony revealed at E3 2018 reveals the protagonist (played by Norman Reedus) as a delivery man on a desolate world. There are also mysterious semi-invisible monsters, babies, and still, frankly, a lot of confusion. Nonetheless, it’s all very intriguing. Ghost of Tsushima got its first gameplay trailer at Sony’s press conference this year, revealing a world that is both brutal and strikingly beautiful. The long-awaited Last of Us: Part II finally premiered its full gameplay trailer. While Joel is nowhere to be found, the trailer focuses on Ellie and carries contrasting moments of peace and brutality. Sony also revealed that Nioh would be getting a sequel with their teaser trailer for Nioh 2. In an era of remakes and remasters, Sony had one of the more exciting developments with their announcement of the Resident Evil 2 Remake. Finally, as one of the more anticipated games of the year, Spider-Man got a new gameplay trailer at E3, revealing stunning graphics, fluid game mechanics, and a few new villains. During their press conference, Microsoft dropped hints about their next console, claiming that teams are “deep into architecting” the next device. There isn’t yet an official timetable but rumors say the new console – codename “Scarlett” – will release in 2020. With a new cinematic trailer, Microsoft also announced Gears of War 5, taking players from icy wastelands to tropical forests, all while fighting plenty of monsters along the way. Masterchief’s long-awaited return was finally announced this year with the latest trailer for Halo Infinite. Little information was shared about the game, but Phil Spencer, Microsoft’s head of Xbox, claimed that it will be the character’s “greatest adventure” yet. 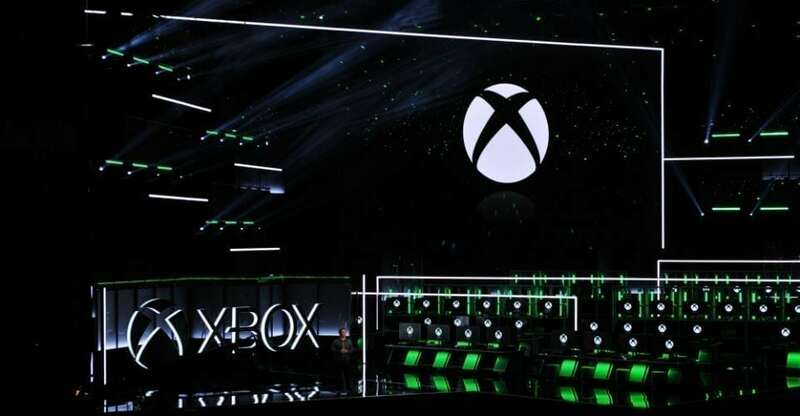 Alongside their many announcements, Xbox also revealed at E3 2018 that 50 new games will be coming to the platform over the next year. While Microsoft leaned on quantity and some of the main pillars of their studio (Halo and Gears of War), Sony relied on younger franchises (Last of Us) and built excitement around some of their up-and-coming games like Ghost of Tsushima and Death Stranding. Sony’s ability to pursue new franchises while successfully executing remakes (last year’s Shadow of the Colossus and the upcoming Resident Evil 2) may give them an edge over Xbox in the near future. Some may argue that Xbox’s 50 new games show ingenuity and the ability to create new content, however, very few of those games are Triple-A productions or compare to the likes of something like Death Stranding. While Halo and Gears of War are fantastic franchises, there is the risk of becoming stale if Xbox doesn’t start pursuing new avenues as Sony has done. Previous article Ajit Pai Declares the Death of Net Neutrality: Can It Be Revived?